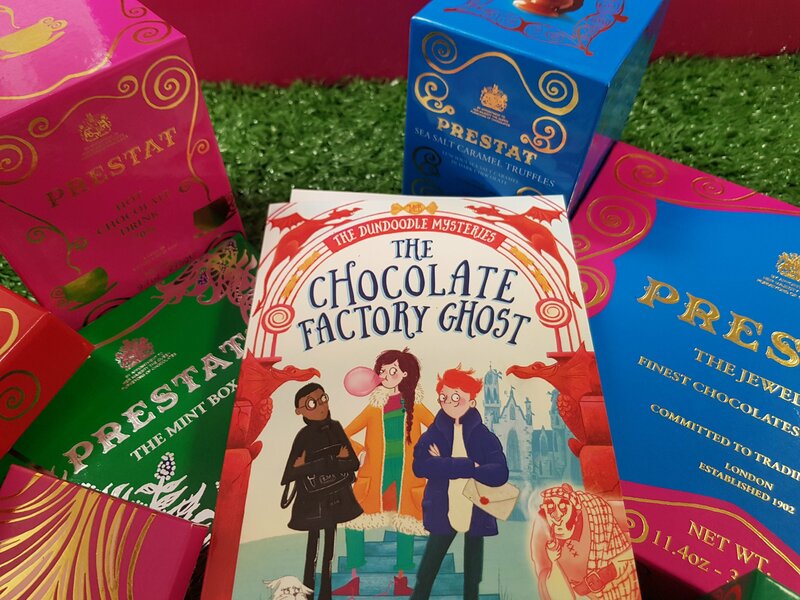 My lovely publisher Bloomsbury are running a Chocolate Factory Ghost competition over on their Twitter account (@KidsBloomsbury) for this week only! There’s an entire hamper of luxury chocolate from Prestat up for grabs. It’s dead easy to enter, so if you’re on Twitter then hurry over and let them know what your favourite sweet treat is! Also, clever illustrator Claire Powell has created a book trailer for The CFG – she’s so talented! I particularly love the music.